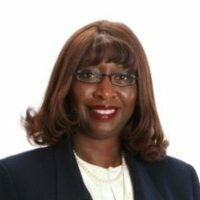 Terrie J. Rollins, is the founder and CEO of RMR Technology Group, a Federal SBA 8(a) and Multi-State Certified, Woman-Owned Management Consulting company that focuses on Transformative Technology Change. We’re experts at assisting clients implement and sustain technology enabled change by converging Four Leading Indicators; 1) People/Talent/Org Design/Workforce Alignment; 2) Process Optimization; 3) Technology Human Capital Strategy and 4) Transformative Technology Change. Launching her firm in 2003, Terrie is an accomplished senior executive with in-depth experience in Transformative Technology Solutions, Talent, Human Capital and Organization Change Management, and PMO Governance operations. She’s passionate about creating the technology enabled workforce and believes this is key to innovation and mission competiveness in the 21st century. Terrie explores the intersection of people and technology to help define the landscape for enterprise and knowledge workers. Through her proven record of identifying circumstances before they coalesce into challenges, she’s a Trusted Advisor to her clients. Her company’s expertise is its unique ability to integrate talent, human capital and organization change management to enable technology implementation, business process design and governance transformation programs. Under her leadership, the company successfully introduced cross functional, agency-wide Process Optimization methods, tools and techniques for Talent, Human Capital, Organization Change Management, Workforce Alignment, Governance and Accountability best practices in support of DOD, DHS, DOT and private sector clients. Her thirty-five-year career includes numerous positions of senior leadership and challenge in both the private and public sector to include some of the most recognizable names in their respective industries. Additionally, she has held several Board of Director positions and is a noted author in the fields of organization design, talent management, and technology integration with respect to human dynamics and change management. Her speeches and publications include; Special Libraries Association Annual Conference; “Talent Retention in A Knowledge Retention World”: Talent Management Magazine “Strategies for Managing Talent” Conference: Women in Technology; “Stakeholder Engagement for Technology and Process Change Initiatives”: The Aberdeen Group; Human Capital Management Summit: and, United States Senate Productivity and Quality Award Program for Virginia Quality Forum for Excellence “Talent Management Perspectives for the Public Sector”. Terrie received her Master of Business Administration degree from the University of Phoenix, Graduate School of Business; B.Sc. degree in Criminal Justice & Business Administration from Troy University, Troy Alabama. Terrie holds certifications including Registered Organization Development Professional (RODP), Society for Human Resource Management (SHRM) Virginia State Legislative Human Capital Advocacy Captain assigned to Sen. Mark Warner and Facilitation.